The main event in many people's eyes is the Gala Day, held annually on the first Saturday of July, when the streets are bedecked with bunting and homes and vehicles are decorated. Coalburn's Pipe and Silver bands march through the village with locals lining the streets. It's a colourful affair with exiles returning from many parts of the world for the yearly blether with old friends. Coalburn miners and pit pony c1920s. Sinking of Dempster's Mine. Overlooked by the Hagshaw Hill Windfarm, Coalburn evolved principally due to the rich seams of coal which lay deep beneath the surface and which created work on a regular basis from about 1840 until the closure of the last deep mine in July 1968. 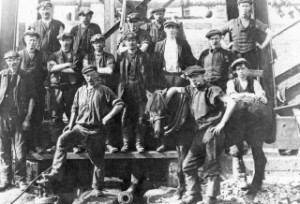 With the closure, many of the local miners moved from the area, some to nearby Ayrshire while others crossed to the other side of the country and found work in the Lothian coalfields. Those who decided to remain in the industry nearer to home travelled to Cardowan and Bedlay Colleries until they were too exhausted. For many, it meant a change in occupation. Ravenscraig was at its height and opportunities were taken up there. 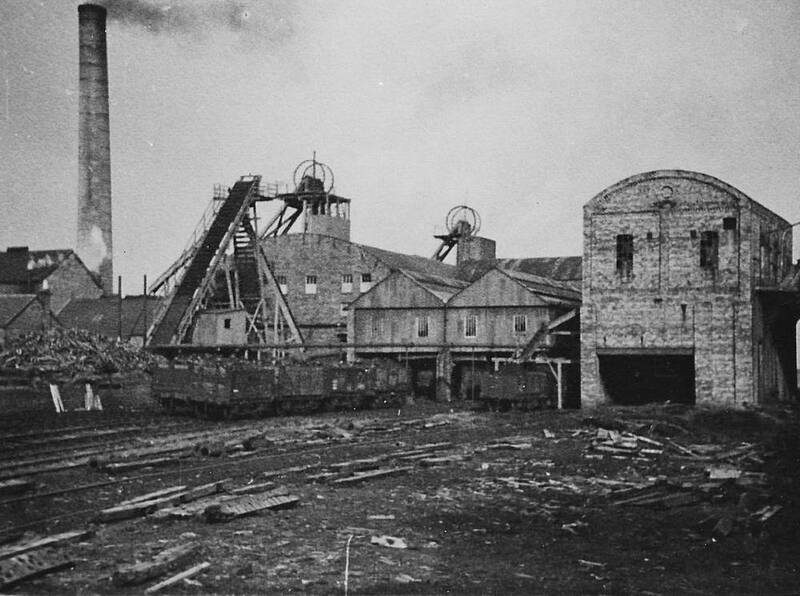 Twenty years after the last coal was transported from Coalburn's Auchlochan No. 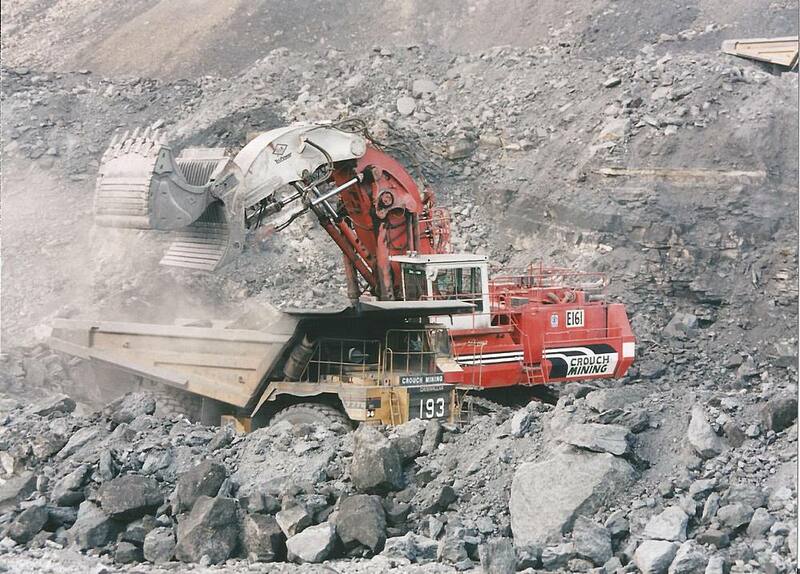 9, work commenced on the extraction of more coal in the area when the then largest opencast operation in Western Europe, at Dalquhandy, finally began the task of revealing still more precious fuel, only this time from closer to the earth's surface thanks to the modern machinery now available. The proposal to introduce the opencast operation met with resistance from many in the area with concerns being expressed with regard to noise, air pollution and the like. Concessions were made and it was agreed that a payment on the basis of so much per ton of coal extracted be set aside for the benefit of the community. The result of this decision brought about the completion of a Leisure Complex, opened in October 1998. Despite many reservations, no doubt its introduction has enhanced the profile of Coalburn. Coalburn Leisure Centre in Autumn 2015. 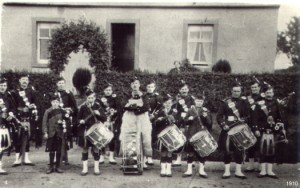 The present band regularly competes in championships and in 2006, was crowned Cowal Champions. The present Coalburn Silver Band, the last remaining brass band in South Lanarkshire, was the 3rd section Scottish Band of the Year 2007. 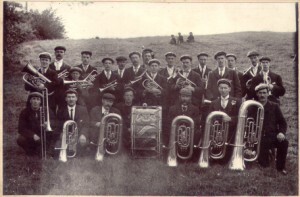 The band has its roots in the coal mining industry and was formed in 1902. For more details, see their website. SOCCER Sport has played an important part in the village over the years with the main sport being football - the heyday being the late 1920s and early 1930s. BOWLING Twenty years later a number of bowling enthusiasts set out to have their own bowling green in the village - Coalburn Miners Welfare Bowling Club - and here too, over the period, many distinguished players have been produced. GOLF Hollandbush Golf Club recently celebrated 50 years. It has flourished thanks to the hard work and commitment of many. Originally a 9 hole course, it was enlarged to 18 holes a number of years ago. 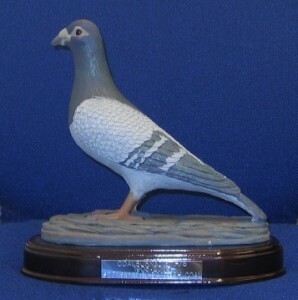 OTHER Other sports which have featured are cricket, quoiting and, of course, two favourites among the mining fraternity, greyhound and pigeon racing. Indeed, Coalburn Homing Club celebrated its centenary in 2005. 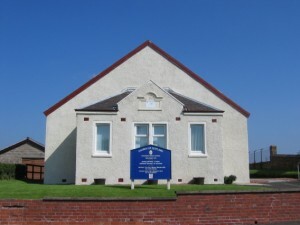 Other local organisations to have passed the Centenary milestone include Coalburn Church, Coalburn Horticultural Society and the Masonic Lodge. 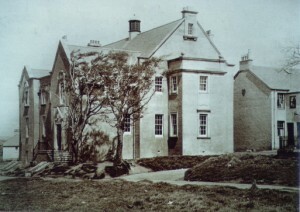 Coalburn School opened its doors to pupils on 1st September 1908. The school celebrated its centenary in 2008 and the Jim Hamilton Heritage Society of Coalburn played an active role in the celebrations. More details. This school closed in June 2012 to be replaced by a new school. 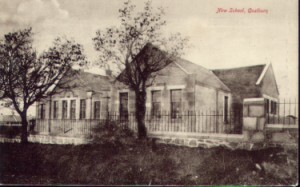 The old school was demolished and, while the new school was constructed on the same site, pupils were bussed to Woodpark Primary School in Lesmahagow. The new school was opened to pupils in January 2014, but was only officially opened on the 19th November 2015 by Councillor George Greenshields. Like many other villages in the district the senior citizens are also catered for as well with the Old Folks Committee and the Darby and Joan Club. Other organisations which are active are Coalburn WRI, Lintfieldbank WRI, the Army Cadet Force while a number of local boys are members of the Lesmahagow Boys Brigade Company. The Box and Fiddle Club meet monthly. The Miners Welfare Institute was opened in 1925 built from money supplied by the Lanarkshire Welfare Fund. This was set up by a levy of one penny per ton of coal extracted locally going towards the "social betterment of mining districts". For more details of its history, see their own website.